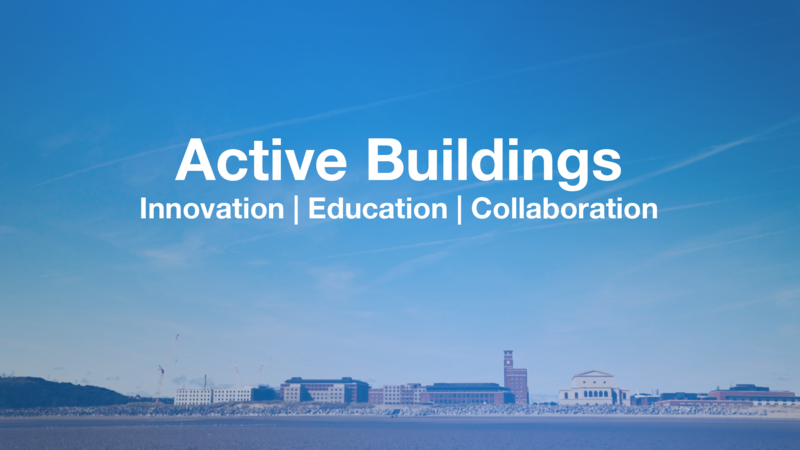 More than 26 full-scale demonstrator sites incorporate various aspects of the Active Buildings concept. As well as showcasing the technologies, our demonstrators are used to monitor and develop systems under realistic conditions and in a range of building uses. Proving the concept in real buildings is critical for its adoption by industry, regulators and consumers. SPECIFIC has been working with Pobl Group and Neath Port Talbot Council on an exciting new project to develop sixteen new innovative homes. Renewable technology and energy efficient materials will be integrated into the homes in order to actively reduce the impact of carbon emissions and fuel poverty. The project in Neath is set to become the first development of social housing to use these technologies in the UK and construction is scheduled to start in early 2018. The Active Office is the UK’s first energy positive office. The building was manufactured using cutting edge off-site manufacturing techniques and incorporate innovative energy generation, storage and release technologies. The office is situated next to the Active Classroom, enabling the sharing of energy and information. 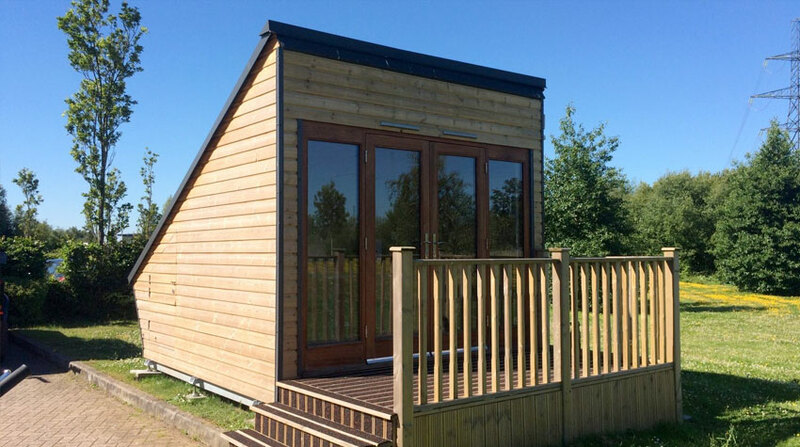 The Active Classroom is the UK’s first energy positive classroom; over an annual cycle it is capable of generating more solar energy than it uses. The Classroom uses both existing technologies and a range of new technologies and construction methods developed by SPECIFIC and its partners. Completed in October 2016 and located at the Swansea Bay University Campus, the Classroom gives materials science students the chance to learn in a building that actively demonstrates the qualities of the materials that they are learning about. The SHED in Margam is used to trial large scale demonstrators. It is a 1990’s industrial unit, of poor quality construction, and is currently home to two major solar heat storage demonstrators. A solar air collector of approximately 590m2 on the southwest facing wall of the building supplies heat into the building or to a large water tank, which stores heat for use the following day. Gas consumption was eliminated as a result of installing this system, with an estimated energy saving of 75%. A BSRIA independent monitoring report for September 2012 to November 2013 stated that it "achieved a low carbon and economical heating solution", which had the "performance of a ground source heat pump with the flexibility of air source". It concluded that the solar air collector and solar store were "demonstrated to be a viable renewable heating option". Our second large scale demonstrator in the SHED is the Inter-seasonal Heat Store. This system stores heat from a Tata Steel Colorcoat Renew solar collector on the roof of the building in SIM (salt in matrix) thermochemical material. Moist air passed over the SIM causes an exothermic reaction, releasing heat from the salt matrix for use in the room. Our First Building as a Power Station - "The Pod"
The Pod was the first demonstrator to combine all of the technologies under investigation at SPECIFIC into one system, allowing us to showcase and test the entire ‘generate, store, release’ system as well as the individual technologies. Learning from this project were then applied to further demonstrator projects, such as the Active Classroom and the Active Office. The Pod demonstrated that it is possible to power and heat a building without connecting to existing services, reducing cost and time for installation, running costs, and making it suitable for sites with no or limited grid connection. It is now used by parking attendants as Swansea University’s Bay Campus.